Khabib Nurmagomedov Vs Conor McGregor Promotional Pitch Begins! The famous UFC 229 main event of the evening is not so far away. It is time for the promotional pitch. Khabib Nurmagomedov Vs Conor McGregor press conference will be held in Radio City Music Hall In New York City, New York. It should start on Thursday, September 20th, at 5 P.M. eastern time. Only credential media will be allowed to take part in the press conference. Yet, the event will be streamed online. 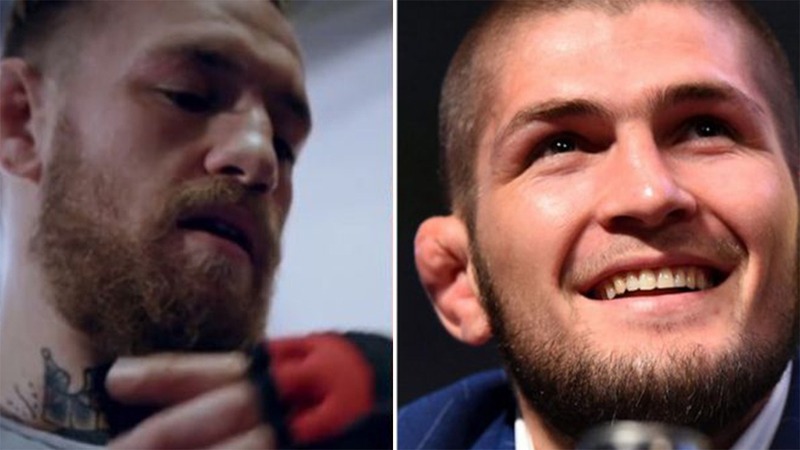 Khabib Nurmagomedov Vs Conor McGregor heats up for October 6th! Khabib Nurmagomedov (26-0 MMA, 10-0 UFC) is currently undefeated. He was very dominant in his last three fights. The Eagle defeated Michael Johnson at UFC 205 on November 12, 2016, via Kimura. Then he defeated Edson Barboza at UFC 219 on December 30, 2017, via unanimous decision. In his last fight at UFC 223 on April 7, 2018, Al Iaquinta stepped in as a replacement after Conor’s hooligan bus attack. Iaquinta fought surprisingly well, but he was defeated via unanimous decision. Khabib won UFC Lightweight title. Conor McGregor (21-3 MMA, 9-1 UFC) was defeated by Nate Diaz at UFC 196 on March 5, 2016. He rebounded back with a victory over Nate Diaz at UFC 202 on August 20, 2016. In his last fight, The Notorious knocked Eddie Alvarez out via right uppercut in the fourth round. He also won UFC Lightweight belt. The Notorious hasn’t stepped inside the Octagon since November 12, 2016. Khabib Nurmagomedov Vs Conor McGregor press conference should be very interesting. Dana White, Conor McGregor, and Khabib Nurmagomedov in the same room. It means we can expect a lot of trash-talking! But don’t forget Conor McGregor decided to shut the media down! So don’t be surprised if he comes up with some excuse! Do you think Conor McGregor could try to evade the press conference?